AUBURN HILLS, Mich / TOKYO (April 14, 2008) - Chrysler LLC and Nissan Motor Co., Ltd., today announced two new agreements for the supply of products between both companies. In January, Nissan agreed to supply Chrysler with a new car based on the Nissan Versa sedan for limited distribution in South America on an Original Equipment Manufacture (OEM) basis in 2009. Nissan will manufacture an all-new, fuel-efficient small car based on a unique Chrysler concept and design. This new segment entry for Chrysler will be sold in North America, Europe and other global markets in 2010, and manufactured at Nissan's Oppama Plant in Japan. Chrysler will manufacture a full-size pickup for Nissan. Based on a Nissan unique design, this truck will be manufactured at Chrysler's Saltillo (Mexico) Assembly Plant. In order to accommodate this product, Chrysler will shift volume from Mexico to its U.S.-based assembly plants that produce pickup trucks. 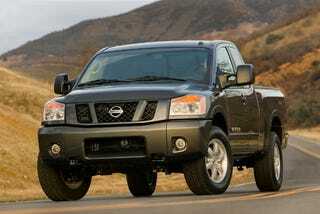 Sales of the pickup in North America will start in 2011. "Forging the right tactical partnerships is critical to the long-term success of Chrysler," said Tom LaSorda, Chrysler LLC President and Vice Chairman. "It also builds on the Company's inherent strengths, including the ability to respond rapidly and creatively to emerging opportunities." "In January, we said we would continue to look for additional OEM opportunities with Chrysler," said Carlos Tavares, Executive Vice President, Nissan Motor Company. "This latest agreement builds on Nissan's proven track record to deliver win-win product exchanges with multiple manufacturers around the world," continued Tavares. Since the signing of the first OEM agreement in January, the two companies have also agreed to maintain an open dialogue to explore further product-sharing opportunities.